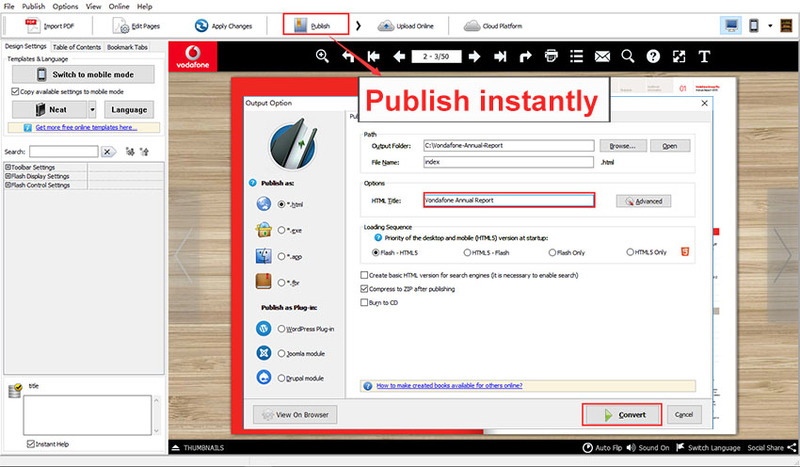 Once you purchase Flip PDF Corporate Edition, you will get 5 user license codes which you can use to register the software in 5 different computers. It is the perfect solution for team work and cooperation. 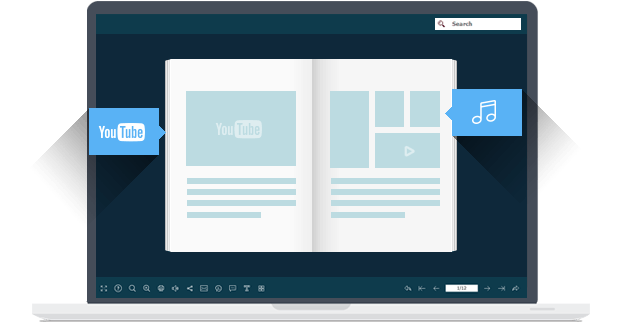 It means that designers and publishers in one company can create customized page-flipping publications at the same time. 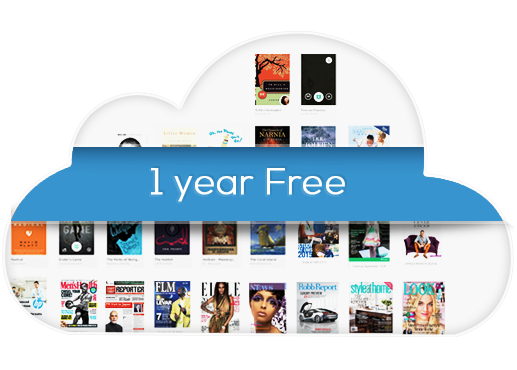 Flip PDF provides one year free premium account for Corporate Edition users, you can upload up to 1,000 books to Flipbuilder cloud publishing platform for free. 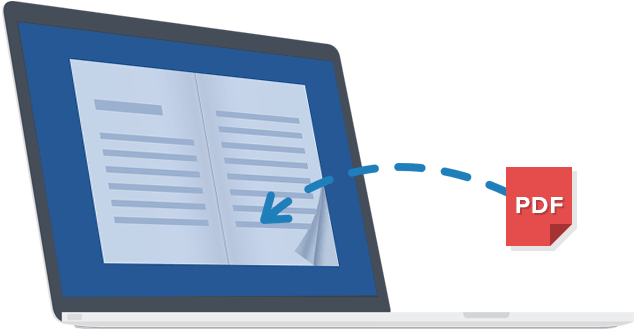 After designing your digital book in Flip PDF Corporate Edition, you can easily upload the book online using our FlipBuilder Upload Service. 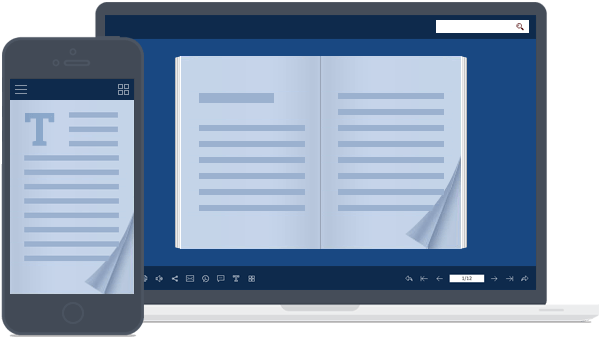 No FTP or other upload tool needed, you can easily manage your books and make it easy for people to view your books online in their browser on their PC, Mac, iPhone, iPad and Android devices. What's upload service? Click Here! 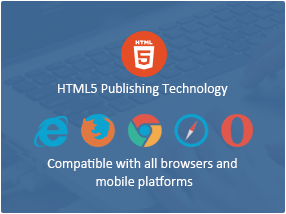 Except for the normal version which you can view your book in PC and Mac computers, Flip PDF Corporate Edition also enables you to create animated page flipping eBooks for tablet and mobile device reading with the integration of HTML5 technology. Readers don't need to install any app onto their mobile devices, just a browser is required to view your publications directly. 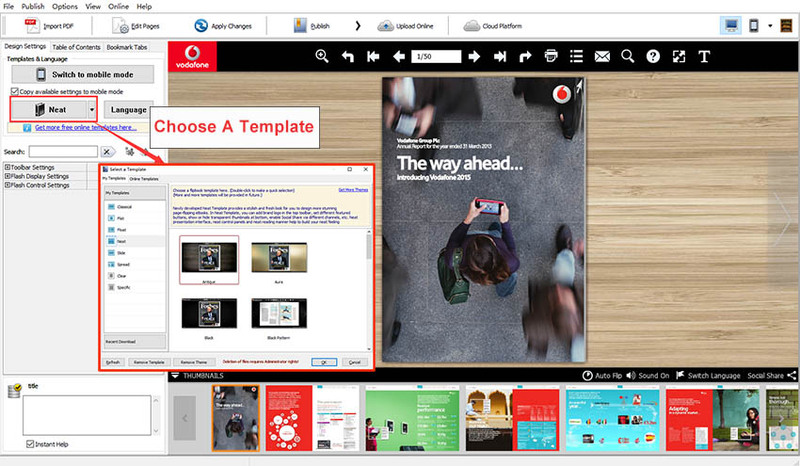 1.Download different templates online (//www.flipbuilder.com/templates-themes/). 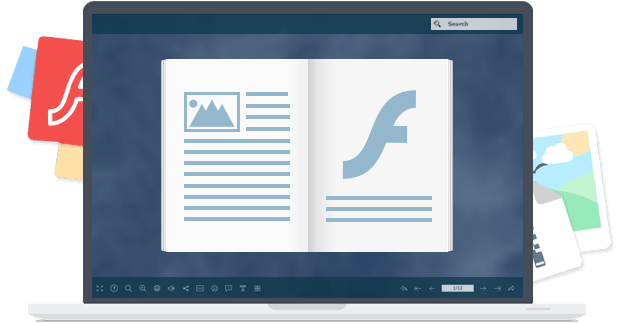 3.Select flash pre-loader for your flip book. 12. 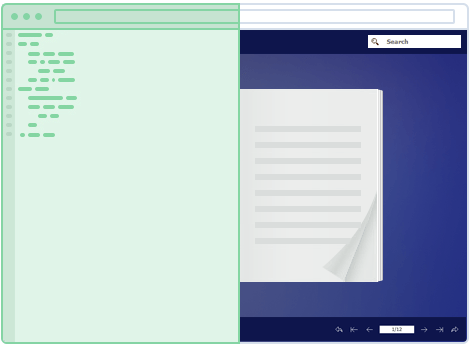 Open in the Browser to a specific page by adding a page index to your URL. E.G. www.yourdomain.com/index.html?pageIndex=4. 13. Always show in Minime Style with adding a parameter to URL. E.G. www.yourdomain.com/index.html?alwaysMinimeStyle=true. 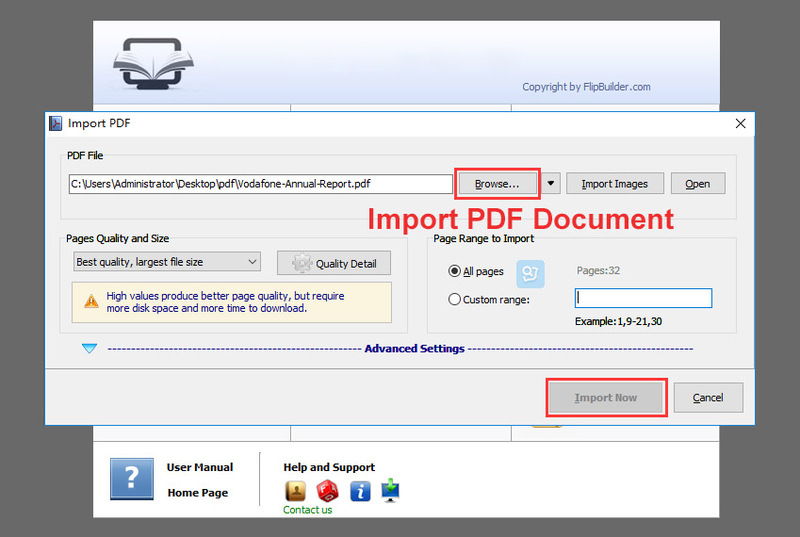 Launch Flip PDF Corporation Edition software, start a new project at the panel, then click "Browse.." to import a PDF document from your computer. 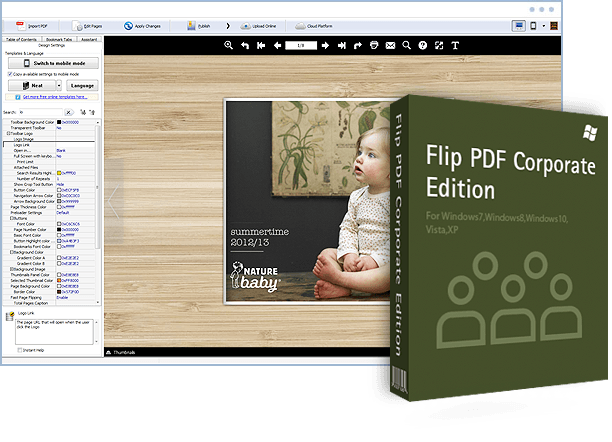 You can customize stylish eBooks with dozen of pre-design templatess and themes in Flip PDF. What's more, you are allowed to add clickable logo image with url to your publication and lead traffic to your website. 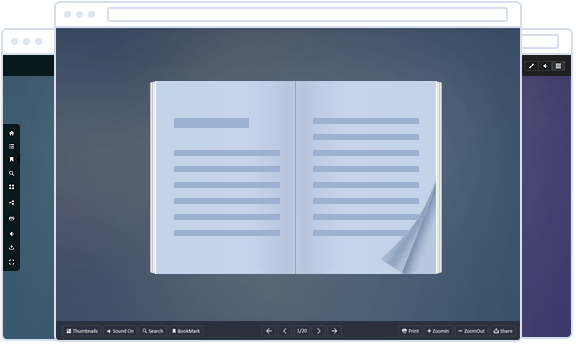 The Page Editor in Flip PDF Corporation Edition enbale publishers enrich flibooks with video, audio, background music, animation and mroe. 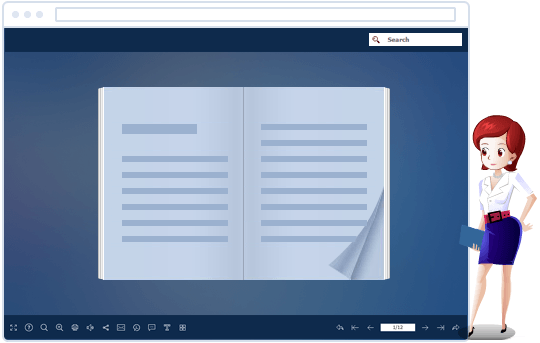 Click the "pubilsh" button to output a flipbook loaclly in your computer, you can choose the formats of the publicaion include html, exe, and even WordPress plugin. You can upload flipbooks to Flipbuilder online host to view online any place. 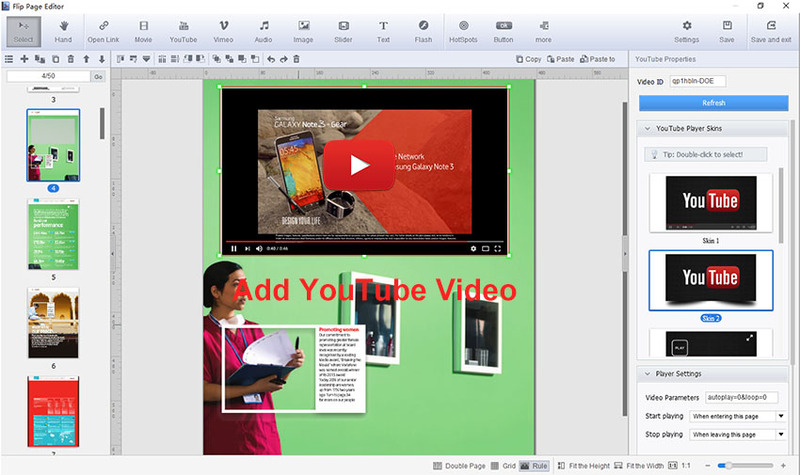 12 Define template details, like book margin, background image, read orientation, hard cover, autoplay, flash preloader, etc. 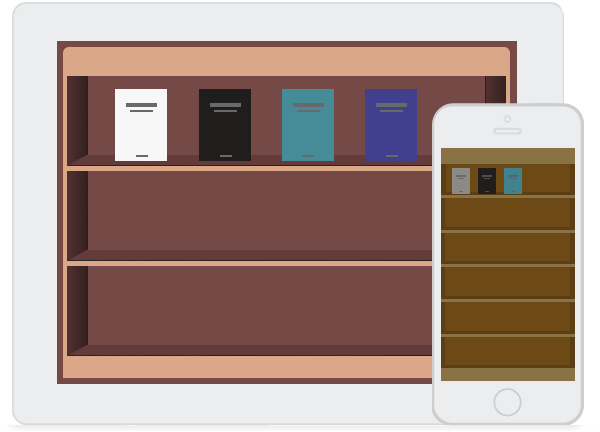 17 Preview book output effect in Flash (on PC), HTML5(on iPad), Mobile(on iPhone and Android phone) and Basic HTML (SEO Version). 40 Add shopping projects to pages, like Price, Order buttons, Product photos, Shopping icons, etc. 8. Enable to play Vimeo video full screen. We want you to be 100% satisfied, so we offer an unconditional 30-Day Money Back Guarantee for all of the customs! 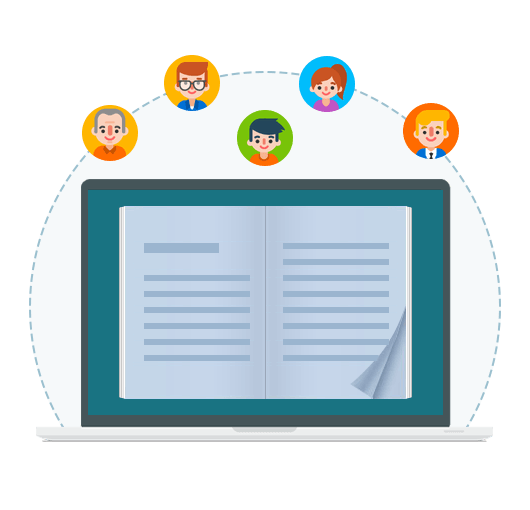 Once you have purchased the software, you can use the program to convert an unlimited number of PDF files to any number of page-flipping eBooks.